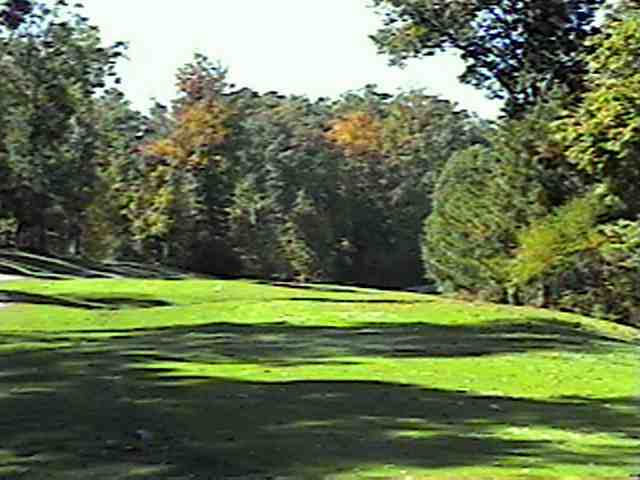 There is not a lot of room to maneuver on this downhill dogleg right with woods on both sides. Also you can't be too long here because you can go through the fairway or worse kick right down into water. Play to the left side of the fairway because everything bounces to the right. 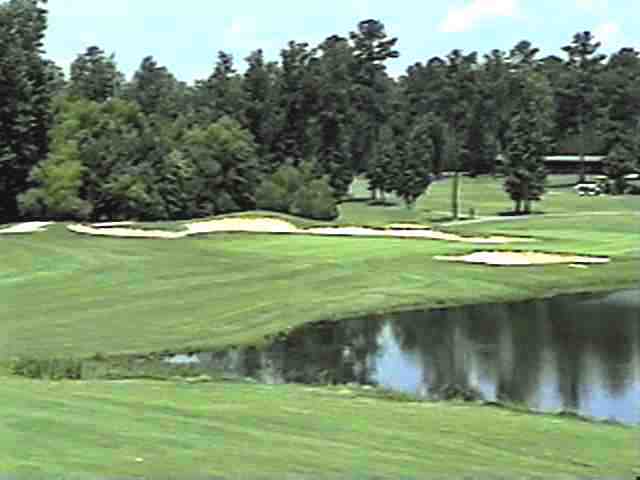 This course is located just north of Columbia, South Carolina.